The roof and its gutters play essential parts in keeping your Fort Myers home safe from the outside world. Not only do they protect the home from water damage that can be caused from severe weather, they also reduce the energy costs associated with cooling your home in the summer. A good roof and gutter system can only function properly if they are well-maintained, however. Therefore, consistent upkeep of them is essential to keeping your home safe and secure. 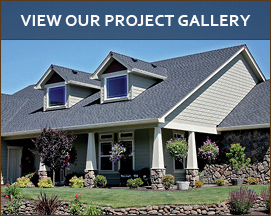 Most professionals suggest a visual inspection of your home’s roof and gutters at least once a year. As the new year is getting into full swing, there is no better time than the present to ensure your roof and gutters are in good condition. By following this checklist, you will make sure your home’s roof and gutters are set to work their best for another year. One of the biggest ways your home’s roof and gutters can get damaged is by dirt and debris clogging up the gutters or sitting on the roof. Debris should be sought after and removed after any large storm, but the little things - like leaves or small branches - should be addressed during this yearly check. This is most important in the gutters, where animal nests or other natural material can collect, causing water to back up and potentially spill over the sides. As water is the most dangerous element to your home, having a clogged gutter can be especially dangerous. Therefore, you want to make sure that they are clean and allow for free-flow of water. The roof should also be free of any large objects, as these can potentially go flying in any strong wind, and can cause further damage to your home or other surrounding buildings. Furthermore, should the larger objects be allowed to remain on your home’s roof, it can cause discoloration or deterioration of your roofing material, leaving it susceptible to further damage. Another way to check your roof and gutters is to do a simple visual inspection. If you notice that your gutters are beginning to sag or split, it might be time to get them inspected by a professional. 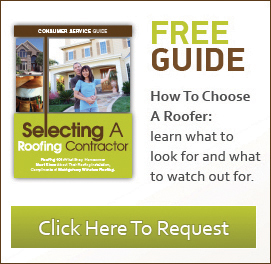 Additionally, look at your roof’s shingles to determine their state. If you find that your roof’s shingles or tiles are curling, peeling, or are discolored, then your roof should be looked at more closely. The presence of mold, algae, or other plant growth is another warning sign that your roof may be open to the elements and susceptible to water damage. Finally, you should look at the ground around the base of your home, near its foundation, for signs of water damage or soil displacement. A significant indicator that your gutters are in need of repair is the presence of poor water runoff. If water is gathering at a specific spot in your gutter system, or if the gutters are split and sagging, water will overflow onto the ground, causing the soil there to become pitted and dislodged. As water gathering near the foundation of your home can be very dangerous to your house, you should look into getting your gutters repaired or replaced. After going through the steps of this checklist, if you find any issues with your gutters or roof, you should call a professional for help immediately. Letting your gutters or roof remain with these problems for a long time can cause further damage to your home, if they are not addressed sooner rather than later. We would be more than happy to talk to you about your home’s needs or give you more information about what a repair would entail. If you are ready to get started on your roofing and gutter project, or would like to get a free project estimate, do not hesitate to contact us by filling out our easy online form or by calling us at (239) 694-1056.